L-R Adrian Pillay (GM Business Development), Adebowale Atobatele (GM Tanzania Bureau) Miguel Llenas (C.E.O) at the Dun & Bradstreet Credit Bureau Workshop in Dar es Salaam recently. FINANCIAL institutions in Tanzania are set to enjoy better protection from loan defaulters following the announcement that Dun & Bradstreet Credit Bureau, a company licensed by the bank of Tanzania to provide credit reference services in Tanzania announced that it will commence operations in a few weeks. The workshop which was attended by Senior Executives of Banks and Financial Institutions in Tanzania, also had in attendance representatives of the Bank of Tanzania, and the International Finance Corporation who graced the event as observers and promoters of the credit reference system in Tanzania. Speaking at the workshop, General Manager, Dun & Bradstreet Credit Bureau Tanzania Limited Mr. Adebowale Atobatele, explained that with the use of a credit report in the assessment of loan applicants, banks and financial institutions can easily estimate the credit worthiness of loan applicants thereby ensuring that they approve the loans of only those who they (banks) consider to have the propensity to repay based on their credit history. Credit bureaus, established by Dun & Bradstreet, have reduced the information asymmetry between lenders and borrowers thereby creating transparent and efficient credit information system. 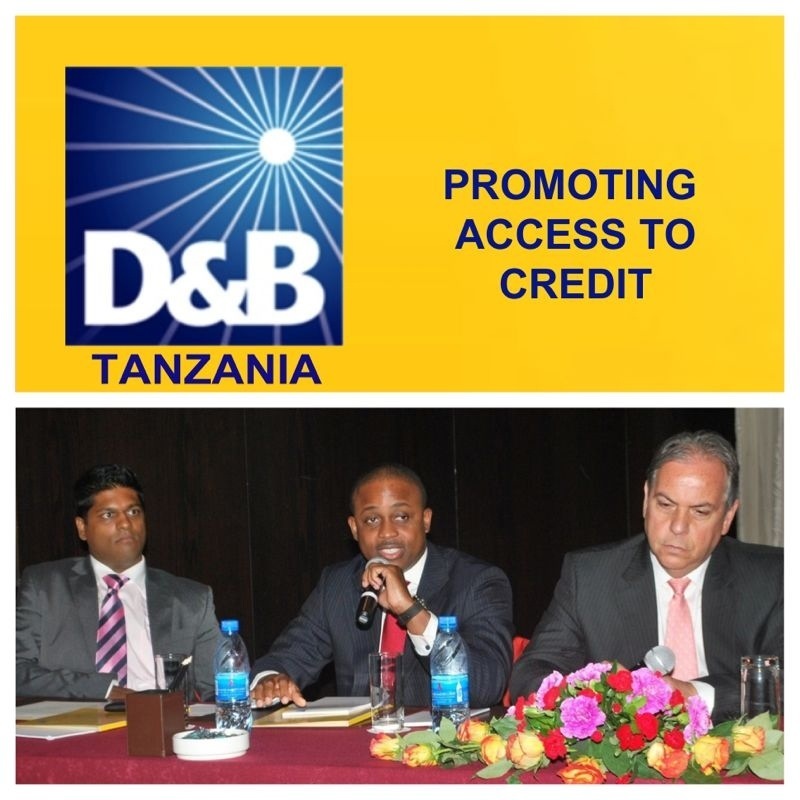 Dun and Bradstreet Credit Bureaus Tanzania Ltd. will work closely with Central Banks, commercial banks, financial institutions, insurance companies, economic development boards and various government entities and to build a robust credit information infrastructure for Tanzania. Nevertheless Mr. Adrian Pillay General Manager Dun and Bradstreet Credit Limited named some D&B Credit Bureaus implementations as Credit bureau of Nepal, CRB that is in Sri Lanka, Emcredit that is in Dubai, Credit Reference Company that is in Nigeria and iScore in Egypt. Participants at the workshop expressed hope, that with the presence of Dun & Bradstreet Credit Bureau in Tanzania, the country’s financial sector will be further protected from collapse.